Sometimes we come across an idea so ingenious that we wonder how anyone can have thought of such a thing, and at the same time find ourselves asking why no one has ever done so before. Dr. Theresa Dankovich from McGill University has done just that, developing a type of water filtering paper that can be used to clean bacteria in impoverished areas across the world. And the best part is that it comes in the form a book. Since emerging with a prototype last year, the world has responded with warranted enthusiasm. Dankovich earned herself a place in Foreign Policy’s ‪revered Global Thinkers list of 2015, made it on Time Magazine’s Best Inventions of 2015 and her work has been featured on CNN, FOX News and Wired Magazine. We tracked Theresa down to find out how this brilliant invention could become exactly what the developing world has been looking for. Page Drinking Paper is one of the most interesting innovations that we have come across, how did you come up with the idea? The whole idea came from my PhD project at McGill University. The challenge was to create an antibacterial coating for paper, and I focused on water filtration in particular. I started getting interested in using this technology to help people when I realized just how incredibly cheap and easy to transport it was. The main material cost of the filter paper is the paper itself. The problem of access of clean drinking water affects over 660 million people. This problem is due to both insufficient supply, and poor water quality (i.e. containing pathogenic microorganisms and nasty chemicals). We can’t really fix the water supply issue with these filters, but we can try to battle the microbial contamination! So perhaps you can explain the difference between what you have created and the other water cleaning innovations out there such as iodine tablets, UV sterilization etc.? The filters are super straightforward to use and require very little instructions. Essentially one would just pour water through the filter, which contain silver nanoparticles, which are lethal for bacteria. Only very small quantities of silver are required due to the use of nano-particles, which have a highly toxic effect specific towards microorganisms at low concentrations. At the low levels of silver used in these papers, a very small amount of silver is released into the drinking water, which meets the US EPA and WHO recommendations. Other water purification methods are all great! The bigger problem than which type of water purification to use is the fact that so many people don’t use any method to clean their drinking water. This could be due to several reasons — cost, convenience, lack of knowledge. We think our alternative has promise in not just cleaning water but providing a better option to encourage more consistent usage. Is there any bacterium that it hasn’t been effective against? Silver nano-particles, the disinfectant in the filters, are non-specific antibacterial agents. In the scientific literature, silver has been shown to kill all sorts of microbes including: E. coli, Listeria, pseudomonas, salmonella, staphylococcus, streptococcus, cholera. 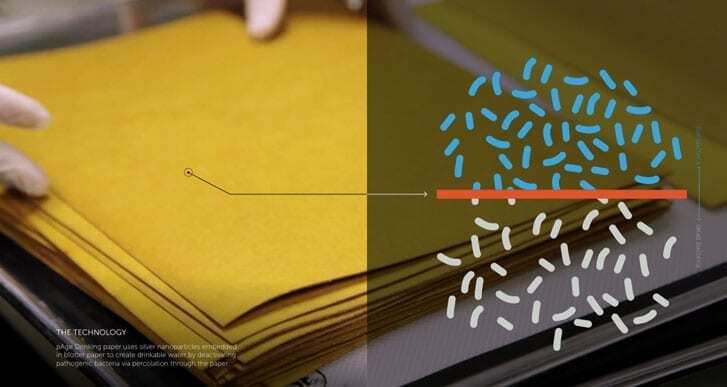 We found that in both cases of laboratory and field analyses of these filter papers that there was high levels of bacteria reduction, greater than 99.9%. The majority of the filtered water samples had zero live bacteria present, which is comparable to the the tap water in the US. 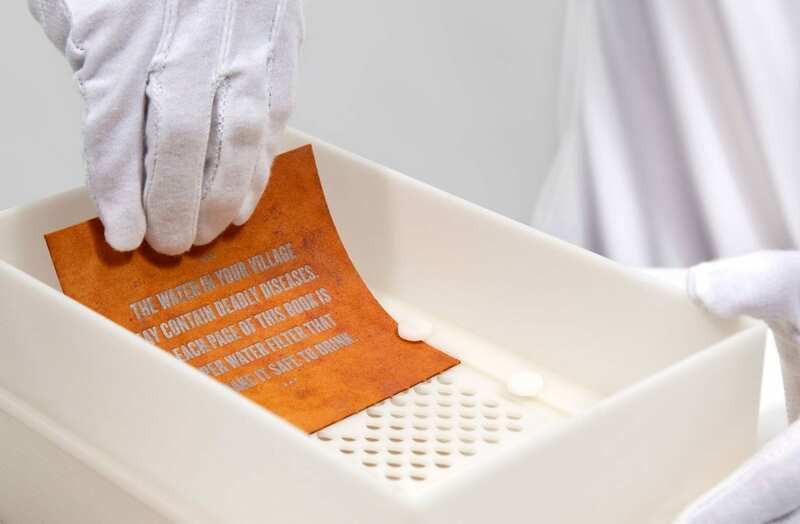 What was the reaction like when you first unveiled this bactericidal silver nano-particle paper to the press and scientific world? People have been very curious and I’ve received so many emails from all around the world! Most folks are asking already to buy some filters, which are not yet for sale, as we are still in the development phase of the project. The original news coverage has led to more and more news coverage over the last few months. We’ve also gotten many new contacts for new projects all over the place. The level of interest has been truly impressive! What’s the biggest obstacle to making this a commercial scale-able implementation for the developing world? One of the biggest obstacles is getting the filters distributed to folks who need clean water. Some of the locations can be quite far from the large cities or inaccessible due to conflict. To start with, we’ve been focusing on only a few locations in a few countries. We will need to partner with other organizations and local governments to reach greater numbers of people. We will need to also Increase the size of our organization, Folia Water, to work with a larger number of partner organizations. Perhaps a strange question but is there any correlation between educating with the book and cleaning the water – leading a healthier life? 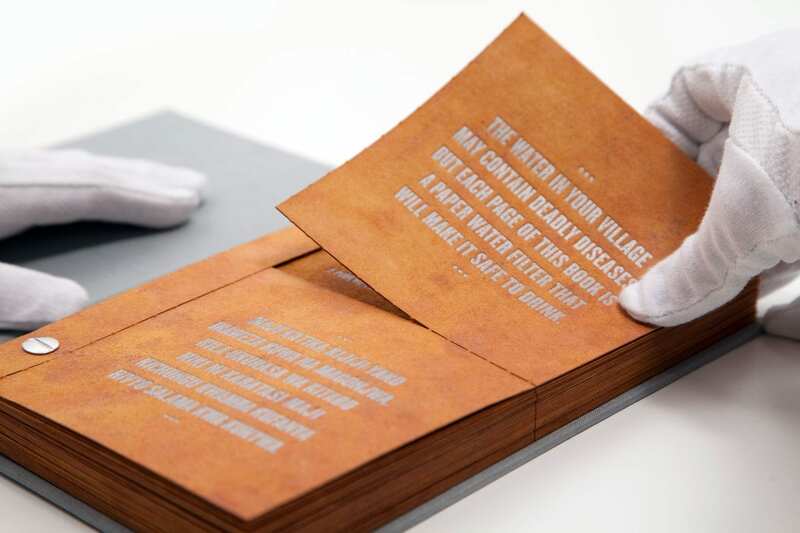 The educational text in the Drinkable Book focuses on increasing awareness of the causes of waterborne illness and how to stop the spread of these illnesses. Clean water is only one element of improved hygiene — better sanitation facilities are also just as important. The book is a catalyst to increase not just the frequency of using the water filters, but also to encourage all types of preventative health measures. It is correlated that preventative healthcare leads to a healthier life!